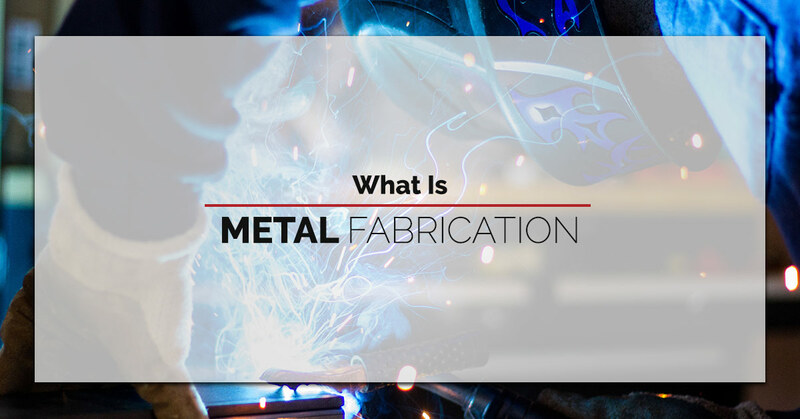 “What is metal fabrication?” This isn’t a question that gets asked a lot around Fort Miller FAB3. At our Greenwich metal fab shop, metal fabrication is our lifeblood. It’s our craft, our art, and our passion. However, we realize that not everyone shares our passion, and it’s important to step back every once in a while and provide some information for those who are not so engrossed in the processes we use day in and day out. To help you better understand our passion, we would like to share with you this general overview of metal fabrication. Metal fabrication is the creation of products or structures through cutting, bending, and assembling metal materials. It is typically a process that consists of putting things together using raw materials, like metal, expanded metal, welding wires and rods, cast metal, and more. Design — this is where a metal fab shop works with you to develop detailed drawings and plans, outlining the exact measurements and specification of your project. Fabrication — this is the step that involves machines that are able to cut, bend, shape, and assemble the metal product. Installation — during this stage, all of the various components of the metal project are put together, in partial or full. Industrial metal fabrication is the process of integrating parts or assemblies into industrial products. Often this involves sheets or plates of metal. Fabrication is used in a wide variety of industries including aerospace, energy, material handling, automotive, and much more. As you may have already guessed, the products created for industrial purposes are typically created in larger quantities and size — e.g. large tanks, silos, and heavy machine parts. As the name implies, structural metal fabrication involves creating structural metal parts that are used in construction and other commercial, industrial, and residential projects. I-beams are a great example of a common structural part. Steel is the most popular type of metal used in structural projects because of its remarkable strength-to-weight ratio. Other metal parts that are often fabricated for structural purposes include stairs, walkways, towers, platforms, trusses, girders, and beams. Take a look around any commercial facility — restaurant, retail store, public space — and you will likely see a part that has been fabricated for commercial purposes. The two most popular categories of commercial metal fabrication are decorative and ornamental. Awnings, shelves, guardrails, sinks, appliances, and conveyors are all examples of commercial metal products. Compared to industrial and structural, commercial fabricated products tend to be smaller and more precise in their purpose. As you can see, the possibilities of metal fabrication are endless, and oftentimes projects need to be custom made to meet the unique needs of the user. These are the instances when you need a metal fabrication shop that specializes in custom work. These type of fab shops will often offer custom design services, which use CAD tools to conceptualize and specify design plans. After the product has been completely designed, the manufacturing process begins. The fabrication methods used will depend upon the individual project, specific function, materials, and other factors. How Do I Find A Custom Metal Fabrication Shop? At Fort Miller FAB3, we take great pride in our work, and we expect perfection at every stage of the process. Whether you need turn-key metalworking, CNC machining, bending, laser cutting, robotic welding, or some other fabrication service, we are ready to meet your exact needs and to establish a fruitful, long-lasting business partnership. We serve New York, New Jersey, Massachusetts, Pennsylvania, Rhode Island, New Hampshire, Vermont, Maine, Delaware, and Connecticut, and we love taking on custom projects and matching our capabilities to your needs. Schedule your consultation today!